This is Room 92. 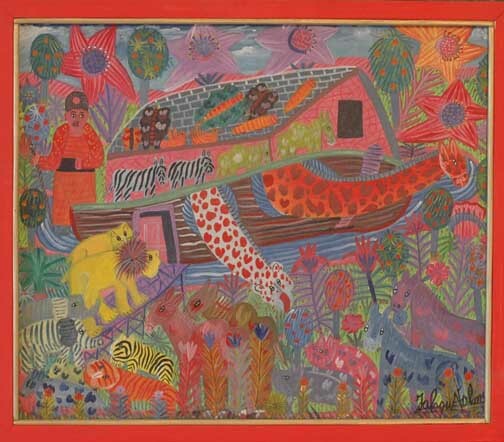 Haitian Paintings by Jacques Valmidor. 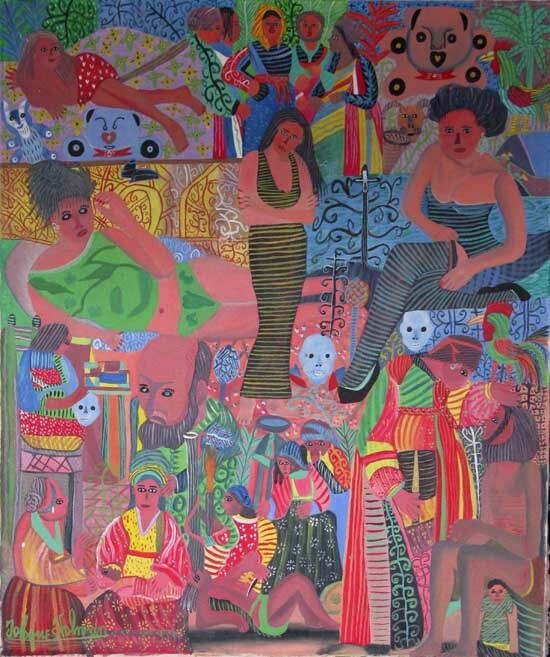 Jacques Valmidor was born in Port-au-Prince on July 1, 1955. His older sister, Antoinette, better known as "Josie", was the cook and major domo at the Galerie Issa for more than 30 years. As a child, Jacques came to the Galerie frequently and was exposed to the thousands of paintings that live there and the scores of artists that circulate through the place. 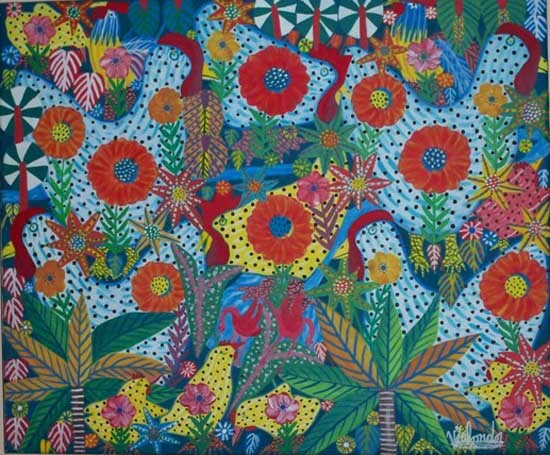 He began to paint at a very early age and has proceeded with abandon. 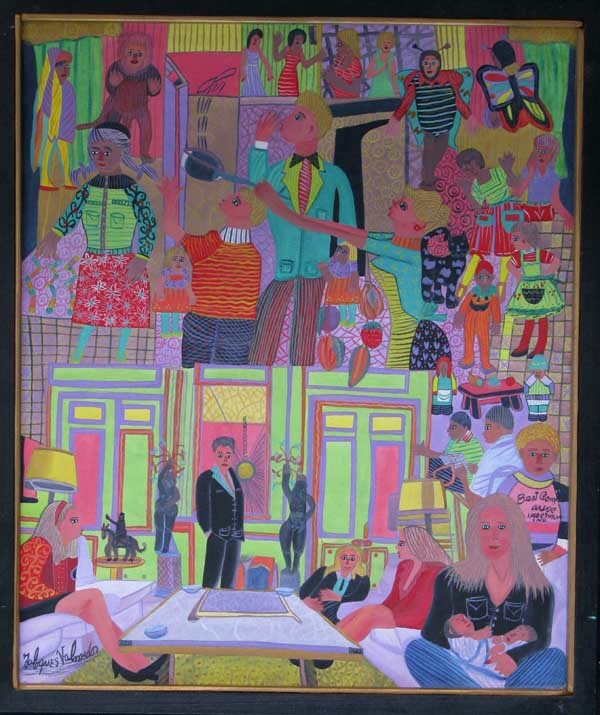 His subject matter varies widely, but all of his paintings have one thing in common: They are charged with humor and whimsy, they bring joy to the household and happiness to all who gaze upon them. Jacques Valmidor passed away in 2004 . To View the Valmidor Archives, paintings that are no longer for sale, click here.